An inspirational Simonstone schoolgirl has raised thousands of pounds to say "thank you" to a hospital that helped her recover from a brain tumour. Grateful Imogen Osbaldeston, a pupil at Simonstone St Peter's C of E School, raised £2,336 in just three days with the help of her fellow pupils, friends and staff at the school, towards a multi-million pound intraoperative scanner. Imogen Osbaldeston with her brother Jude presents the cheque to Lily Preston, community fundraising officer from Royal Manchester Children's Hospital. The brave 11-year-old was diagnosed with a brain tumour and treated at Royal Manchester Children's Hospital in the summer of 2016. The appeal for the intraoperative scanner for the neurological department at the hospital s attempting to raise £4million pounds. In order to boost funds, Imogen took it upon herself to organise a number of fundraising events at the school. She initially wanted to raise £200, but has far surpassed that. Her mother, Rachel, who is a practice nurse in Clitheroe, said she is proud of her daughter's efforts and grateful to the school too. She added: "Imogen's school has supported her efforts with tremendous generosity from staff, pupils, parents and families supporting her cause. 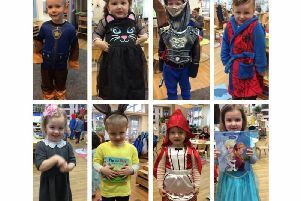 The events she organised at school was a book swap on World Book Day, a Mother's Day pamper hamper raffle, a whole school cross country event sponsored and a bake sale." Imogen's family, especially supported by her twin brother, Jude, have also organised a charity car wash (her big brother came home from university to help) and another bake sale at her mum's doctor's surgery. Headteacher, Christine Smith, said: "Imogen’s charity was one of three that the children selected to raise money for over the year. "In school we work together as one large family and therefore do feel that we have been on this journey with Imogen and her twin brother Jude. "Imogen is an inspiration to us all in school and super role model. We are incredibly proud of the resilience that she has shown, not only at the time of her operation when she was incredibly poorly, but also with her determination to quickly make a full recovery and get involved in all aspects of school life. 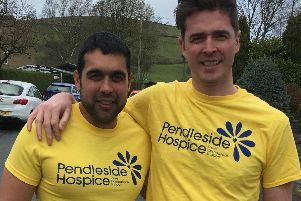 "We are absolutely delighted at the generosity and kindness of our small school community raising such an amazing amount of money - £2,336.18 in just three days!"